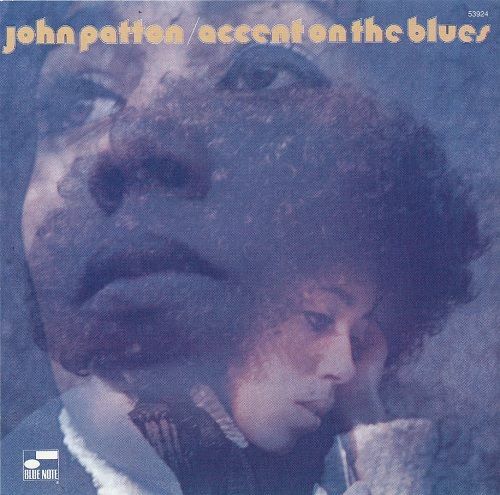 Accent On The Blues, John Patton’s ninth release on Blue Note delivers on the promise of the title. John Patton’s association with the blues on this 1969 session is of a deeply groovy kind. It’s a good record but would’ve been better if Patton’s sidemen were either in finer form or more experienced. What strikes the listener at first hearing is the freeflowing, easygoing quality of Accent Of The Blues. John Patton and multi-reedman Marvin Cabell utilize a question and answer-method thematically, which playfully gets things going on Village Lee and Captain Nasty. Those tunes are exemplary of the way John Patton is able to create an atmosphere that pushes the sidemen forward, both by his rich sound and inventive phrasing, which should prompt anybody familiar with organ music to state that if ever there was a dervish of focused energy, it’s Big John Patton. Village Lee is the track in which the comping of guitarist James “Blood” Ulmer, a relative newcomer in jazz, most succesfully comes across. His ‘twangy’ sound gives a nice ring to the proceedings. He is a bit lazy on most tracks, particularly behind John Patton’s solo in Rakin’ And Scrapin’. Nevertheless, Ulmer’s idiosyncratic style of soloing suits the atmosphere of Accent On The Blues. It seems Patton feels most comfortable with drummer Leroy Williams, who, far from being an expert master, lays down contagious, slow boogaloo rhythms for Patton to grab hold of with soulful, intense runs. It’s evident that in songs such as their dynamic take on Eddie Harris’ Freedom Jazz Dance, Patton is the star of the show. A groovy star of a bluesy show that might not be the best introduction to the organist’s work but is well worth digging for.